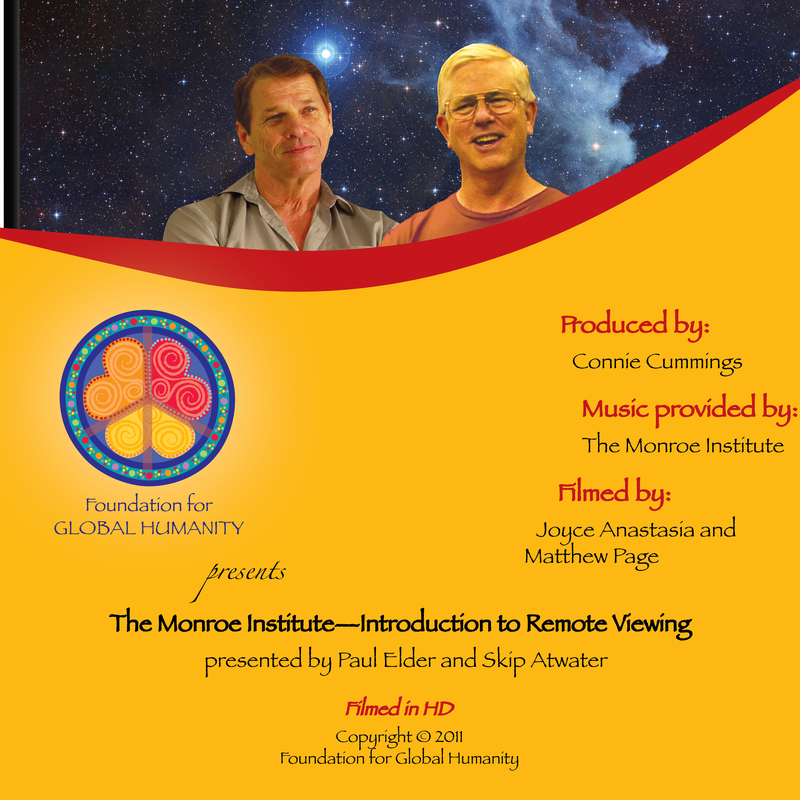 The staff of F4GH, in collaboration with the administration of The Monroe Institute®, participated in and filmed the course on Remote Viewing in August of 2008. The result of this project is a DVD to inspire and teach people about the intriguing process of Remote Viewing, as well as demonstrate the concepts presented and how they can be applied to our lives. A sample clip on the Monroe Institute can be viewed here. Sequoyah Trueblood (enrolled with the Choctaw Nation of Oklahoma) has contributed selflessly for many years as a role model for healthy leadership, bringing peace and joy to the hearts of many. As a ceremonial pipe carrier he offers something most have never experienced: the genuine guidance of a supportive, profoundly inspired and diversely experienced Elder. His consistent ability to touch wounded hearts and sooth troubled minds with compassion and wisdom has endeared Sequoyah to both Aboriginal and non-Aboriginal people alike. He has a varied background in leadership capacities within Indigenous peoples contexts as well as Western institutions including the U.S. Army, World Bank, Institute of Noetic Sciences, Harvard University Program for Extraordinary Experience Research, and Corrections Canada. Sequoyah was accompanied by James O'Dea, one of the great peacemakers of our time. Together they are present to sing a revered Mamo back to life, whereupon he blesses Sequoyah with a transmission of Peace in the Heart to carry back to the North and out into the world. 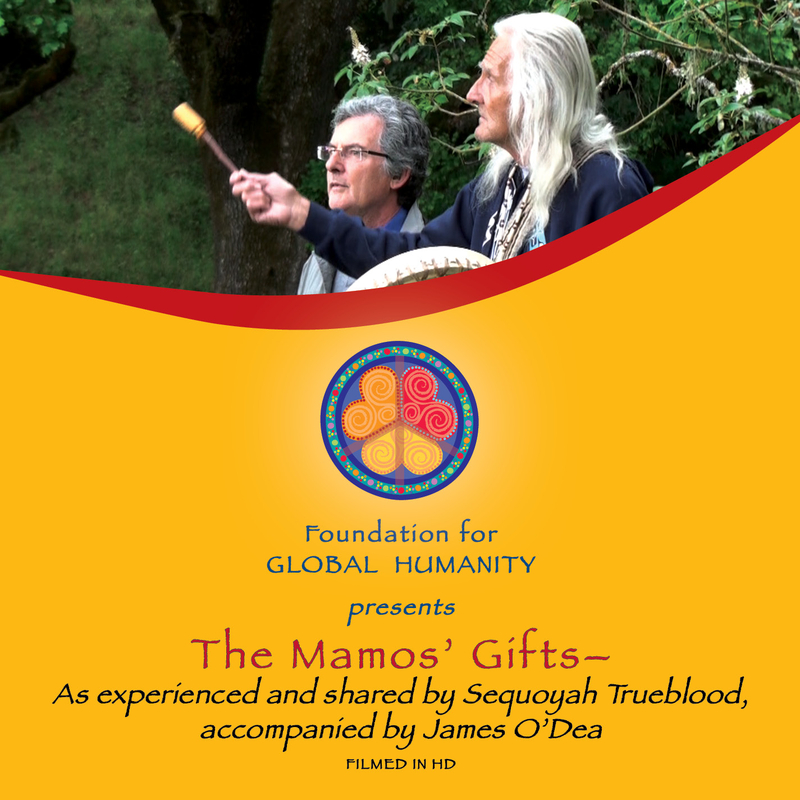 The Foundation for Global Humanity is grateful for this opportunity to film Sequoyah at the Shift Retreat at IONS in Northern California in June 2011. Eileen wrote and performs all 10 instrumental pieces. She plays the piano, ukulele, guitar and harmonica. From the blues to classical piano this CD will please your heart and ears. Eileen has gifted this CD and all proceeds to go directly to F4GH. 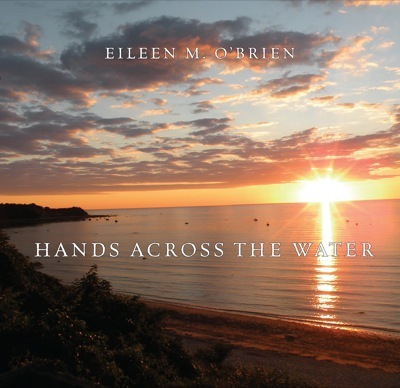 Our profound thanks to Eileen for sharing her musical talent, time and money to produce this CD. Already Eileen’s CD has gone to Africa (Uganda), Asia (Japan), Austrailia (New South Wales), Europe (Ireland), and in the USA (14 states). It’s also being played for the babies in the intensive care nursery and in the recovery room at Dartmouth Hitchcock Medical Center in Dartmouth, NH. To listen to samples of each song visit Amazon.com. The SEED Graduate Institute holds an annual conference where a circle of the participants continue the annual tradition of open public exchange. The conference brings together a meeting of the minds between quantum physicists, Native American scholars, and linguists to discuss the underlying principles of the Universe, not from an adversarial point of view, but out of mutual respect for the differences in world views. 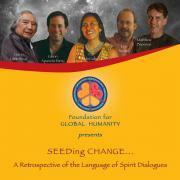 The Foundation for Global Humanity had the privilege to interview some of the key participants in the conference dialogues to present a DVD covering the historical evolution of the Language of Spirit Dialogues called, SEEDing CHANGE...A Retrospective of the Language of Spirit Dialogues for the suggested donation of $25.00. As well as a 3 DVD set of the initial 8 interviews of inner circle participants allowing a glimpse of what these Dialogues mean and how they have influenced their lives. 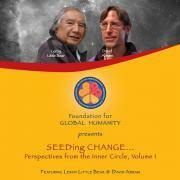 These DVDs entitled SEEDing CHANGE...Perspectives from the Inner Circle (Volumes 1-3) are available for the suggested donation of $60.00. Sample clips from the interviews can be viewed here. 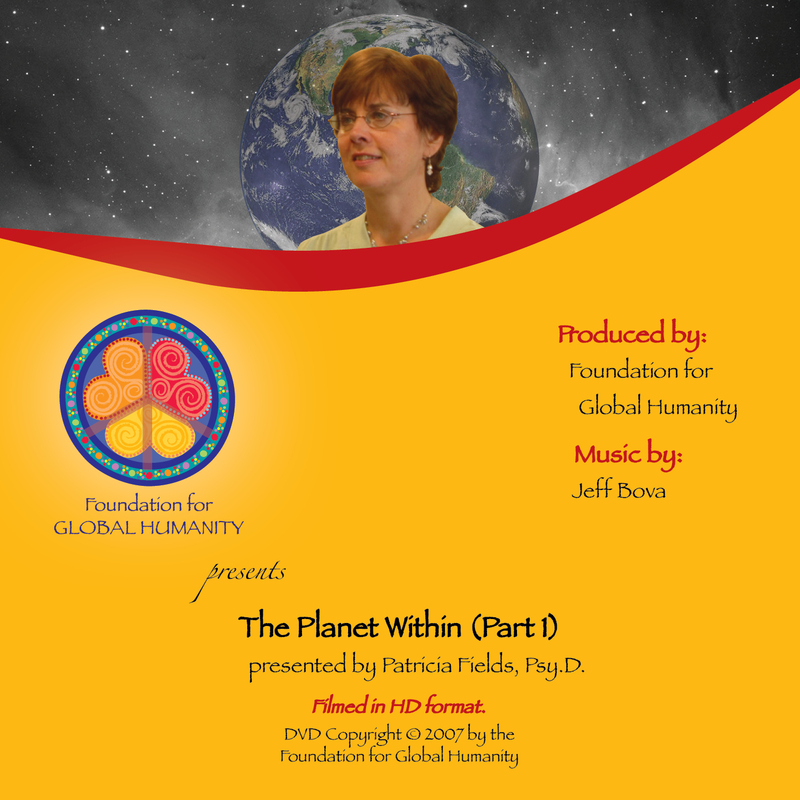 The Planet Within 3-DVD set is available for the suggested donation of $60.00 which includes shipping and handling. Summary: This DVD set contains highlights of the evolutionary workshop presented by Patricia Fields, PsyD. Part 1 – participants learn about the “Quantum Creation Myth” developed by Pat including concepts as the white hole, black hole, “M” and the Mystery Universe. Part 2 – highlighted topics include “life as illusion”, effective communication, re-remembering our gifts as human co-creators, freedom of choice and various components of “crossing over”. Part 3 - identifies potential power inherent in reconnecting our internal human core to the core of the earth, thus integrating “The Planet Within”. This 12 DVD set is available through your donation of $180.00. Summary: This DVD set contains the unedited footage of Advanced Supervision for Healing Practitioners, presented by Patricia Fields, PsyD. This includes 4 DVDs of lectures concentrating on different modalities of healing including: chakric (electromagnetic), haric (magnetic), and quantum. 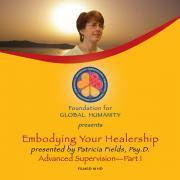 It also includes 8 DVDs of advanced supervision sessions with various healers. 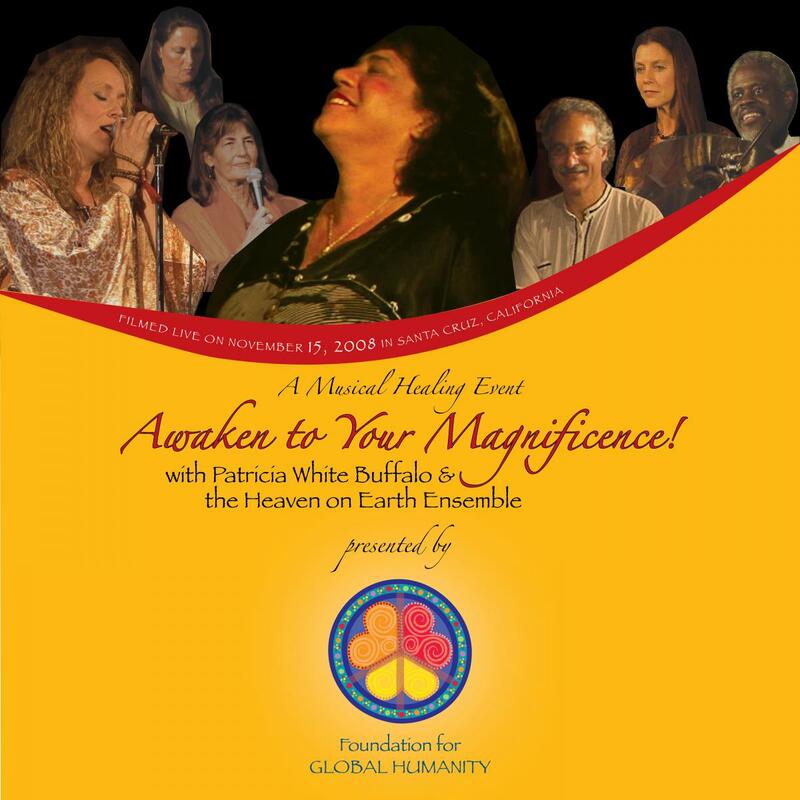 This DVD is available for the suggested donation of $20.00 where F4GH filmed and edited this inspiring musical event created by gifted healers and musicians for the purpose of planetary evolution through co-creative, Kirtan, dance, meditation and musical healing journeys. The intention of this event is to raise the vibration of the planet by opening our cells to the memory of wellness and wholeness...thus raising the vibration of the planet by accessing this memory. Your credit card information will be used only for this transaction through our secure online payment system. Foundation for Global Humanity does not retain credit card information or transmit credit card information to any third parties. Foundation for Global Humanity is a 501(c)3 operating foundation. Contributions are tax deductible to the extent permitted by law. If we're unable to use your contribution for the purpose you specify, either because of oversubscription or for another unforeseen reason, it is our policy to use your contribution for other programs and projects of the Foundation for Global Humanity.